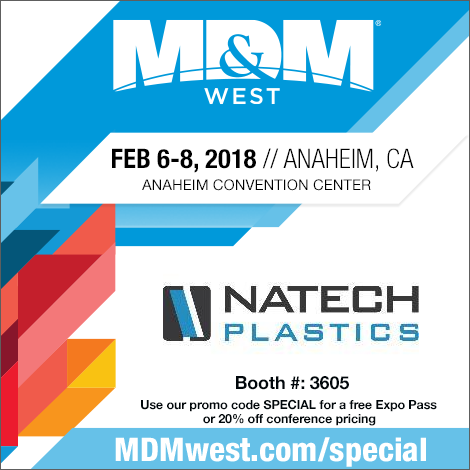 Join Natech Plastics at the Medical Device and Manufacturing expo. Natech will be exhibiting at Booth# 3605. Our engineers will be onsite to provide education and to answer your questions. Get your complimentary admittance to MDM West 2018 by registering now using promo code SPECIAL to claim your free expo badge or get 20% off your conference pass. To learn more or to schedule an appointment contact David Kachoui at dkachoui@natechplastics.com or call (631)580-3506.